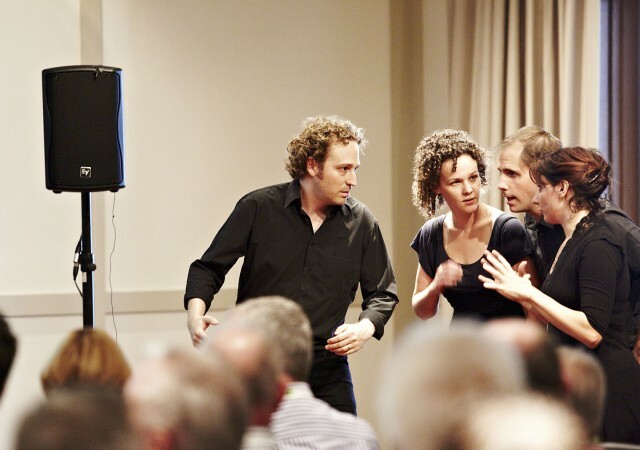 In a Melbourne Playback performance the audience’s stories and experiences are the content of the performance. Through dialogue with a skilled playback facilitator, individuals share perspectives, ideas, moments and events from their lives. Then our team of professional actors and musicians bring these stories to life and into focus in a way that is entertaining, surprising, illuminating and transformative. 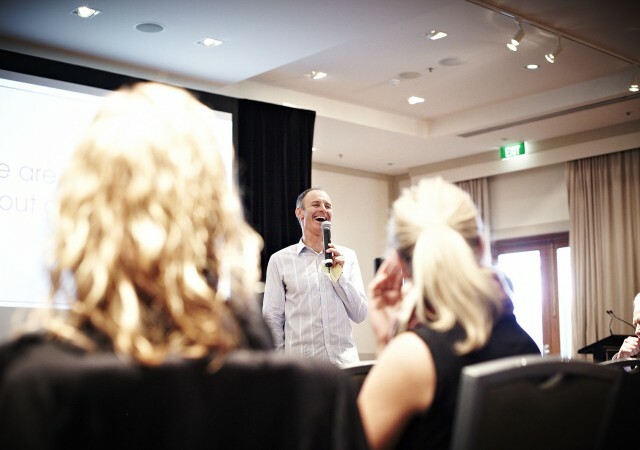 Our facilitators are trained to gather stories from a wide variety of voices in the room, giving everyone the opportunity to hear the different perspectives of people in the audience. A whole range of experience can be explored in a Melbourne Playback performance, from complex work environments to end of year celebrations. A performance will leave an audience more aware and attuned to the complexity of experience, more emotionally connected to each other and thoroughly entertained. Any subject matter, even the most complex, is approached with sensitivity and courage to provide the opportunity for people to voice, reflect and affirm personal experience. 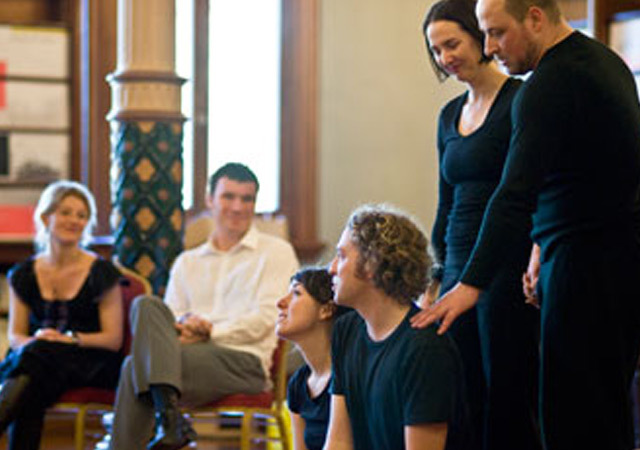 The illumination of the unique life of our audience is one of the powers of Playback Theatre.